After your busy day of professional development, enjoy a meal of fine Venetian cuisine in the elegant Laguna Restaurant. You will be amazed by the hotel restaurant’s gastronomic offer, with a wide range of traditional regional and Italian dishes, all interpreted by our expert chef. Taste the finest culinary creations accompanied the perfect wine from our extensive wine list. Imagination and art come together to offer you fine dining with flavor, color, and style. Start your day with a delicious Italian coffee, and serve yourself at the breakfast buffet with its savory and sweet items, including fresh pastries. The bar serves all kinds of drinks and cocktails. By selecting the NH Laguna Palace Hotel for the 2012 conference you will benefit from the specially reduced room rate that applies for Biopolymer World participants. Hotel Conference registration and hotel booking is a combined one-step process. Complete the Credit Card Information Form to reserve your place at the Biopolymer World Congress and reserve your hotel accommodation. (Hotel accommodation cost is not included in the conference registration fee). *Room Rates include full buffet breakfast and VAT. Any modifications to your hotel booking (e.g. changes to travel dates or room requirements) should be made DIRECTLY to the NH Laguna Palace at reservation.nhlagunapalace@nh-hotels.com or by telephone: +39 041 8296111. In the unlikely event the hotel has no availability on some of the requested nights, the hotel will inform you directly. 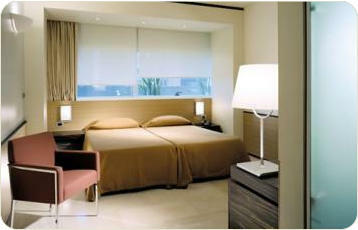 • Between 24 March 2012 - 3 April 2012: Hotel will directly charge your credit card with one room night cancellation fee. • From 4 April 2012 - 13 April 2012: Hotel will directly charge your credit card with two room nights cancellation fee. • For any cancellations received after 14 April 2012: Hotel will directly charge your credit card with the total amount booked. Important Information: Any cancellations to your hotel booking should be made 23 March 2012 to avoid any hotel cancellation charges. 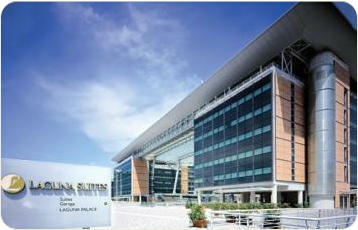 The NH Laguna Palace Hotel is situated about 12 km away from the Venice airport. NH Laguna Palace is located approximately 1 km from the Venezia-Mestre train station. From there you may take bus number 31 or 32, which runs every 15 minutes. Travel time is about 15 minutes. There are also a number of leading car hire companies based at the airport. Click here for a city map of Mestre-Venice. The NH Laguna Palace Hotel has been selected for its overall excellent facilities, convenient location and economical prices for participants. All conference sessions and exhibits will take place at the NH Laguna Palace Hotel. NH Laguna Palace is characterized by its attractive contemporary design, great location in Venice, and top-quality service and amenities. 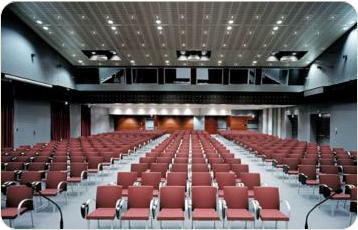 The hotel’s conference center is a point of reference for business professionals. 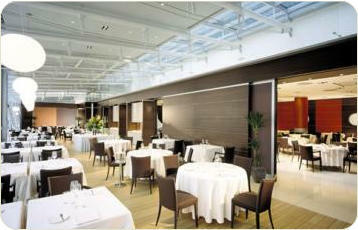 The hotel itself is made up of two main buildings, linked together by a flat and transparent glass roof. This splendid architecture makes the NH Laguna Palace hotel one of the largest covered structures in Europe. A marina sits between the two hotel buildings, offering water access to the canals that take you to straight into the heart of Venice. Hotel guests can comfortably reach Saint Mark's Square and water taxis may dock right at the hotel. NH Laguna Palace is a charming and enchanting destination. Elegance and sobriety are combined in this unique hotel, making it the ideal base for both business travelers and tourists. The NH Laguna Palace hotel benefits from a highly privileged location, a mere 15- minute drive from the Venice Marco Polo Airport and only 5 minutes from the Mestre railway station. If you want to spend a charming and relaxing stay near Venice, NH Laguna Palace is the perfect choice to reach this beautiful city. The historical city center of Venice is just 15 minutes away.